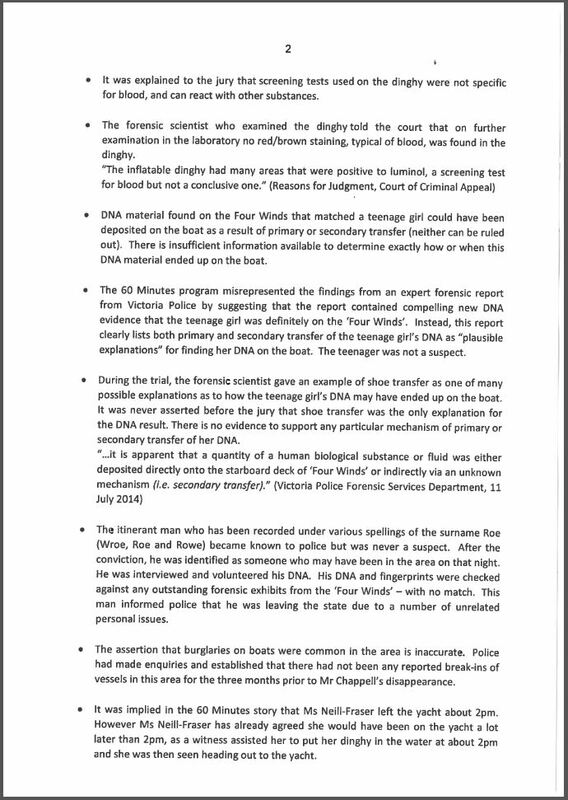 Thursday, 28 August 2014 - 12:12 pm. 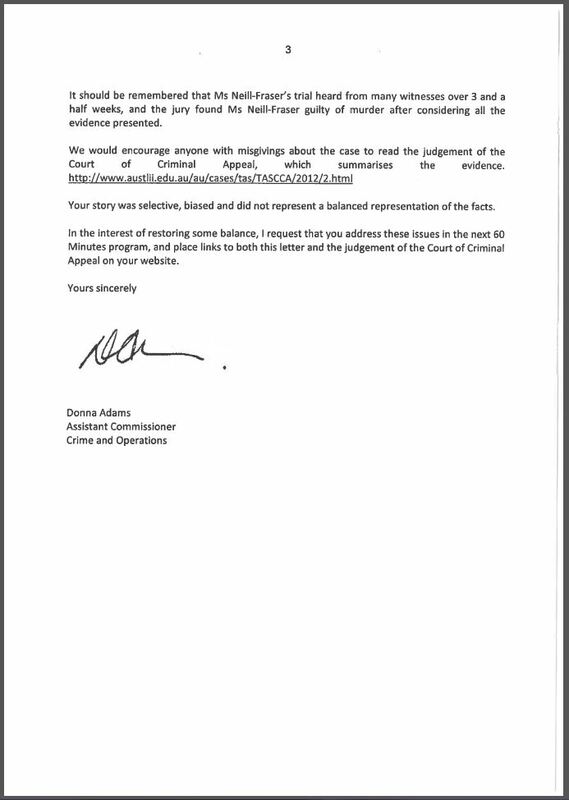 The following letter of complaint has been sent by Assistant Commissioner Donna Adams in response to the numerous inaccuracies made in last week’s 60 Minutes program. 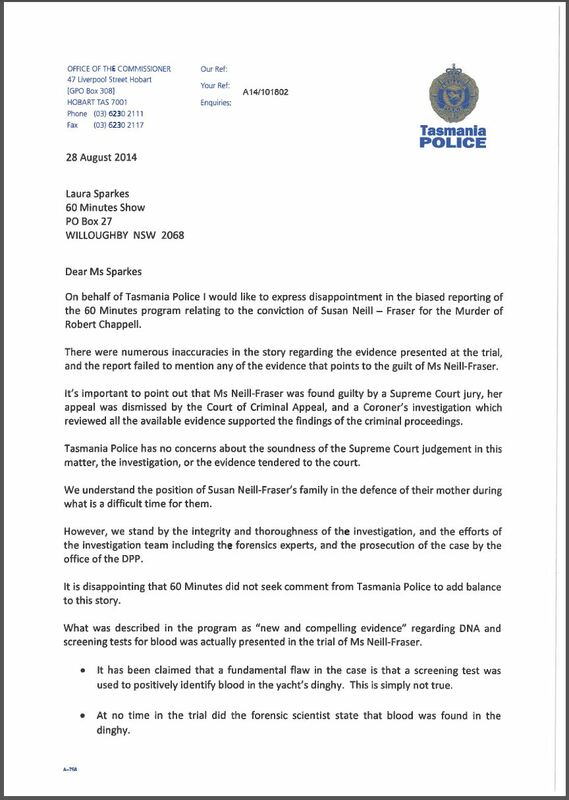 This page -- https://www.police.tas.gov.au/news-events/media-releases/response-to-claims-made-by-the-60-minutes-program/ -- was last published on August 28, 2014 by the Department of Police, Fire and Emergency Management.